Sorting out our taxes can be a long and arduous task. From complicated calculations to needing to hire external expert help, it is a task that small businesses and firms find particularly stressful. It seems that further complications and stress will cost small businesses bundles of money, with the changes to capital allowances threatening to cause confusion, higher professional costs and error, according to the Association of Taxation Technicians (ATT). Changes to the Finance Bill and in particular the Annual Investment Allowance (AIA) seem to be the crux of all the confusion and complications. The AIA is the allowance that allows businesses to claim full tax relief on eligible capital expenditure. The problem is the level and amount of changes to the AIA limit. If Government proposals go through, the AIA limit will be increased from £25,000 to £250,000 between 1 January 2013 and 31 December 2014. In practice, the limit on qualifying expenditure during this period can actually instead be less than £25,000 however, depending on the level of its qualifying expenditure racked up before 1 January 2013 and the firm’s account year end before this date, which can affect other areas such as future tax refunds. In addition, the fact that the AIA limit was only recently reduced from £100,000 to £25,000 from 1 April 2012, serves to add to the complexities and confusion for those concerned, which is namely small businesses. In fact, such will the level of confusion be surrounding the AIA limit that within a period of just 39 months, there could be as many as seven instances when the calculated dating of expenditure determines how much tax relief a business will receive annually on its capital expenditure. 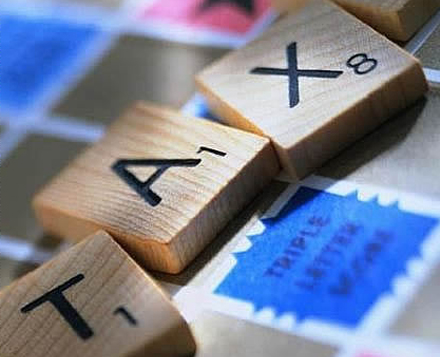 The result of this will mean confusion, which will inevitably lead to costly errors, and higher professional costs with tax firms such as RIFT UK likely to see a sharp increase in clients throughout the 39 month period. As the majority of SME businesses spend far less than £250,000 annually, it would make much more sense for the previous £100,000 yearly limit to run through to the end of December 2014. With SMEs being the lifeblood of our economy, the government should be focused on encouraging this segment of our economy. By adding such complication and confusion to the AIA limit, the government are instead discouraging SME enterprises from being sustained. Whether or not the government will heed such concerns however is a different matter and it seems likely that planned changes to the AIA limit will succeed in going through.